It was precisely a month ago today that Bethesda released a new trailer, a chance to rub our eyes wetly across the white/brown wastes of Solstheim – the island destination of Skybox’s first major add-on. That one, longing look might have to last us for a while yet though – Bethesda tell us we won’t be seeing Dragonborn on PC until the new year. Thanks to Skyrim’s long-established but never-disclosed deal with Microsoft, that’s much later than the Xbox release date – tomorrow. Still, 2013 draws relatively near and Mayans willing we’ll be riding dragons before we know it. Dragonborn is the sort of police procedural that never makes it to BBC telly. 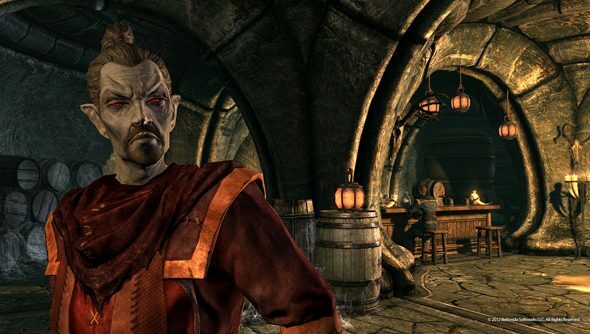 We’ll investigating the mystery return of a long dead Dragonborn, and won’t be seeing him back to the Old Bailey after a fair-cop arrest. Instead, we’ll likely be forced to use new shouts and spells to subdue the bugger. Those include Dragon Aspect, a buff which involves summoning the inner power of a dragon to deliver “colossal blows” and strengthen your shouts. Drag your eyes over theseDragonborn screenshots for more.